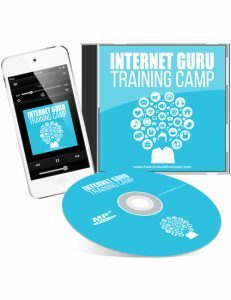 If you've never heard of the term 'Internet Guru', it's a title reserved for the biggest online marketers with tens of thousands of followers and who engage in massive product launches making more money than you can comprehend. These are people who rule the nest and have built huge businesses. They're the ones that every other digital marketer starting out aspires to be like. To reach the status of an internet guru means you need to be in the game for a while and have built a brand, a great reputation and a massive list of subscribers. When you reach the summit, you're branded a guru and people see your word as gold. This 4 part audio provides a look into what it takes to reach guru status. It's not something you'll achieve overnight obviously. But at the very least, you'll become inspired when you understand what regular people did to get to where they got. Everyone and anyone who ever wanted to be among the elite in any industry, especially in the digital marketing industry, needs to grab this audio. You'll understand the philosophy and the work ethic of gurus and how they stay relevant in such a dynamic and difficult industry. If you're ready to learn, hit the download button. 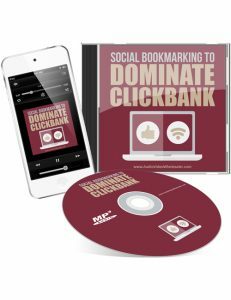 Social bookmarking, if you're not familiar with it, is when people like or share interesting products, articles or pieces of content on a site. For example, as you're viewing this product, you will notice four social media buttons above. If you hit any of those buttons, you'll have an option to share or like or recommend the product to others. These bookmarks are public and others who are browsing the same pages will see these likes and shares and recommendations. It's a very powerful method when you know how to use it. This audio explains it all in detail. Even better, it involves Clickbank where people are making and spending tens of thousands of dollars. When you're ready, hit the download button. Social Supremacy Affirmation - Develop Dominance Over Your Relationships And Networks Now is a 6 part audio that wakes you up from getting completely sucked in to all the negative forces in your life. Many times people don't realize that they are going on a dangerous path of self destruction. There could be many different reasons for people to be living mundane lives, sometimes due to no fault of their own. Negative things that affect us since childhood and shape us to become what we are as adults could be a big reason why. Perhaps genetically being low key and unmotivated or lacking in the ability to build relationships could be another reason. Obviously there is no possible way to change the things that affected you growing up and made you feel negative towards yourself and life in general. But the mind is a powerful thing and when you can control it, you control everything else. If you can learn to inspire yourself to be the best version of you, life can become so much happier. To get there, you need to digest the right information. This audio puts you on the right path to help you find solace and happiness simply by listening. If you're ready for positive change, let it begin here. When advertisers and companies develop products or advertisements, they need to see what people are doing, what people are needing, and how people interact with everything around them. That's how quality products are built to success. The same applies to the online world where creating products or websites should be focused on answering questions and providing solutions. This is the direction Google is strongly going towards. If you want to make a mark anywhere as a marketer or get results from your marketing and advertising campaigns, you need to be alert and attentive to what's hot and what people are doing. This audio lays it all out for you. When you're done, you'll be ahead of the curve and ready to make things happen. It can take a lot of work for a celebrity to live day to day while at the same time keeping their celebrity status at the forefront. With the various social media platforms out there including Facebook, Twitter, Instagram, etc, celebrities remain active across the board to keep relevant and build their fan following. But the most important thing about it all is that celebrities aren't always fully active themselves online due to their busy schedules and often require a team to manage a lot of things online. These positions are commonly known as celebrity managers or social media account managers. The job certainly sounds fun and interesting. 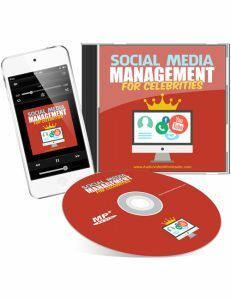 This audio shows you how you can get involved in the celebrity management industry if you're a fan of celebrities. List building can be difficult if you're just starting out and still trying to figure out the process. Top marketers are seasoned in building lists and it's always best to follow the steps of veterans. This audio lays it out in simple steps right from the very best marketers. You'll learn the exact methods in building your list like a pro. That means knowing how to entice users and turn them into followers and subscribers. When you build a real relationship with your subscribers, that's the pivotal step towards getting them into your funnel and profiting. Nobody is willing to just throw out cash so quickly which is why you need to be in a position where you're a trusted voice in your industry. Would you take weight loss tips from the neighbourhood slob or from a professional trainer? It's fairly self explanatory. Make yourself the expert and your list will grow. This audio explains it all including how to speed things up and get your list expanded even quicker than normal. Hit the download button and digest the information. This is one of the best downloads for you if boosting your list building efforts is your desire. Recession Retribution - How To Fight Back During A Recession And Save Your Financial Future is a 6 part audio that gives you the confidence in realizing that the world isn't over because of a recession. Sure many people will struggle but if you are careful in how you live and how you save your finances, you can pull through. This audio is very useful in providing the best tips in how to go about dealing with tough times. Obviously miracles aren't provided so you need to rely on yourself to deal with economic troubles but if you have sound advice, you can do better than you'd imagine. Life can be tough for everyone during recessions, especially for business-owners. But with good planning, you can meet any recession head on and feel solace and comfort knowing that you are capable of surviving. Real Estate Money Making Techniques For Newbies is a hot 5 part audio download that shows you what's possible in the world of real estate. There's massive money to be made in selling real estate and this audio covers the essential topics to show you how to do it. One of the best things about real estate is the potential to make tremendous money, especially if you can close deals for massive commercial properties. There are a lot of techniques involved if you want to get to the top level of selling and this audio is definitely one you want to get a hold of if the real estate industry is something you're on the fence about but needing a little motivation. Some of what you'll learn include the philosophies and realities of real estate, gaining buyers and finding sellers, making your move, handling contracts and making money and much more.